After that first glimpse of Alicia Witt, some of you might have expected to see her playing the piano again during the end credits like she did in Episode 8. We did get a piano song, but it was certainly not Alicia on the keys. But who was that pianist at Santino’s? For once, Part 11’s end credits revealed nothing. So for a while, the Internet was abuzz trying to identify the silver-haired piano player. Is it Angelo Badalamenti? No, it’s NOT Angelo Badalamenti! Of course, the music is Angelo Badalamenti. Is it Burt Bacharach? No, not him either. Mel Brooks? Now you’re just pulling my frog moth leg. It’s okay if you didn’t recognize Count Smokula, Bob Dylan’s accordionist or Walter from The Vamps Next Door. Luckily, his friends did and began sending him messages on Facebook soon after Part 11 aired. That’s how Robert “Smokey” Miles found out his scene finally aired, about a year-and-a-half after he got a last-minute call from the casting director. Without seeing a single frame, Angelo sent three songs which were then simply placed in the editing timeline, one after the other, and they fit in… just like that. How? “Because he’s Italian!” David Lynch argued. The question remains, why did the melancholic part trigger a reaction from Dale Cooper? Was it because of the two notes —the ones right before the Lynch & Frost Productions bumper— that sound like Laura Palmer’s Theme? Or something else? I feel like The Return is partly an examination of our expectations as fans. Many have been missing the music. Coop's reaction conveys this? Just like “The Chair,” “The Fireman” and “The Accident,” Angelo Badalementi’s “Heartbreaking” will appear on Twin Peaks (Limited Event Series Original Soundtrack) (Amazon) out September 8, 2017. You can listen to it below or as part of the Twin Peaks 2017 soundtrack playlist on Spotify. It doesn’t make ANY sense that Dougie is taken aback by the two notes that are similar to Laura Palmer’s theme. I agree, it would make no sense for Dale Cooper to recognize Badalamenti’s cue. At this point, it’s clear that Lynch and Frost are teasing us with tons of references to the original series. Maybe Cooper was reminded of something else, like Trudy’s piano playing at The Great Northern or some notes from Julee Cruise’s songs at the Roadhouse (or Jacques’ cabin), while they conditioned our minds to look for an actual connection. Maybe he just liked the music. Maybe because the notes sound similar to Sycamore Trees which he presumably heard while in the red room. I think it’s a black lodge thing. Remember the Arm? “Where we are from, there is always music in the air”. After this scene, a conclusion may be drawn that the whole life of Vegas Dougie is a fantasy dream that Dale Cooper’s mind is creating and unpacking as he cognitively and physically returns from the Black Lodge. The fragments of his former reality are revealing to him in a mixed up fashion just as they do for all of us when we simply dream. The Great Northern key and the Dougie Jane ring found in Briggs body are the only things linking this surreal Vegas story to the realities taking place in Twin Peaks and South Dakota. It’s very likely nothing about the far fetched life of Dougie is actually happening. The melody sounds more like Sandro´s “Penumbras” to me. 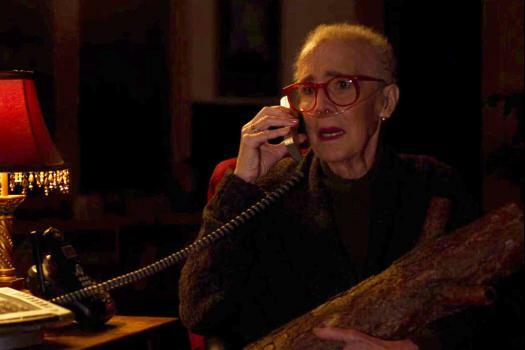 Lynch’s lamps have always been a symbol of light in the darkness; of following your intuition or your deepest good. Previous article Twin Peaks Fan Orders Dale Cooper Standee, Gets “Dougie Jones” Instead And Gives Him Two Rides!